Cornelis (Kees) van Leeuwen is Professor of Viticulture and Head of the Viticulture and Oenology Department at Bordeaux Sciences Agro (part of Bordeaux University’s Institut des Sciences de la Vigne et du Vin). He conducts research on all aspects related to the concept of terroir in viticulture, including the effect of climate, soil, plant material and water relations. In recent years his focus is on the impact of climate change in viticulture and the development of phenology models. He teaches in several Master programs and continuing education, including short courses taught in English on terroir for wine professionals. Kees has also mapped soils of numerous wine estates and appellations. He worked for Château Cheval Blanc in Saint-Emilion for 25 years, in roles including Technical Director, Consulting Viticulturist and Head of Research and Development. He is the editor-in-chief of the international peer-reviewed open access journal OENO One and writes on a regular basis for the Dutch wine magazine Perswijn. 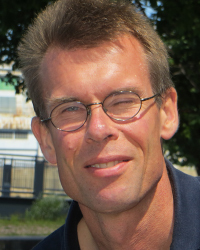 Kees will address Adapting to climate change in Europe on Monday in Session 4.